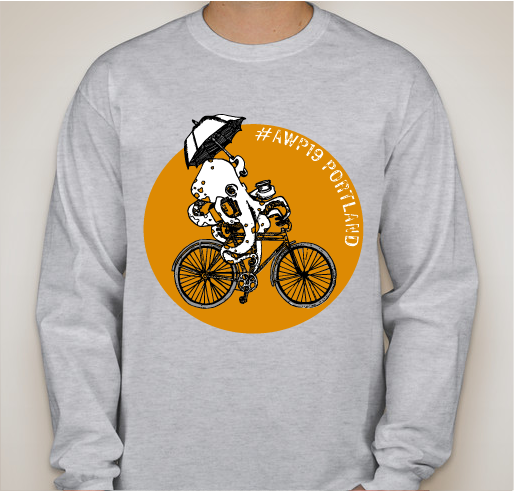 You can still purchase an official #AWP19 T-shirt! All proceeds go to support AWP's Writer to Writer Mentorship Program. 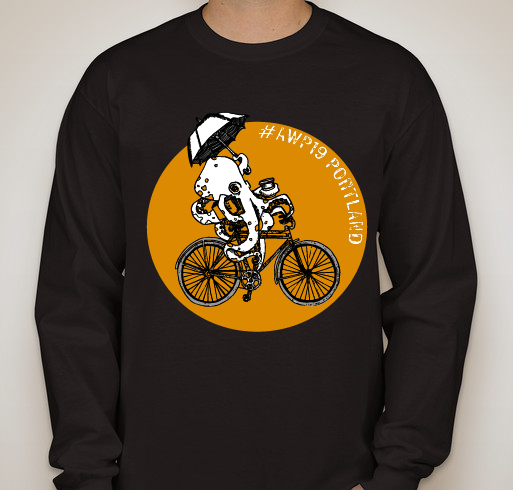 All funds raised will go directly to AWP . 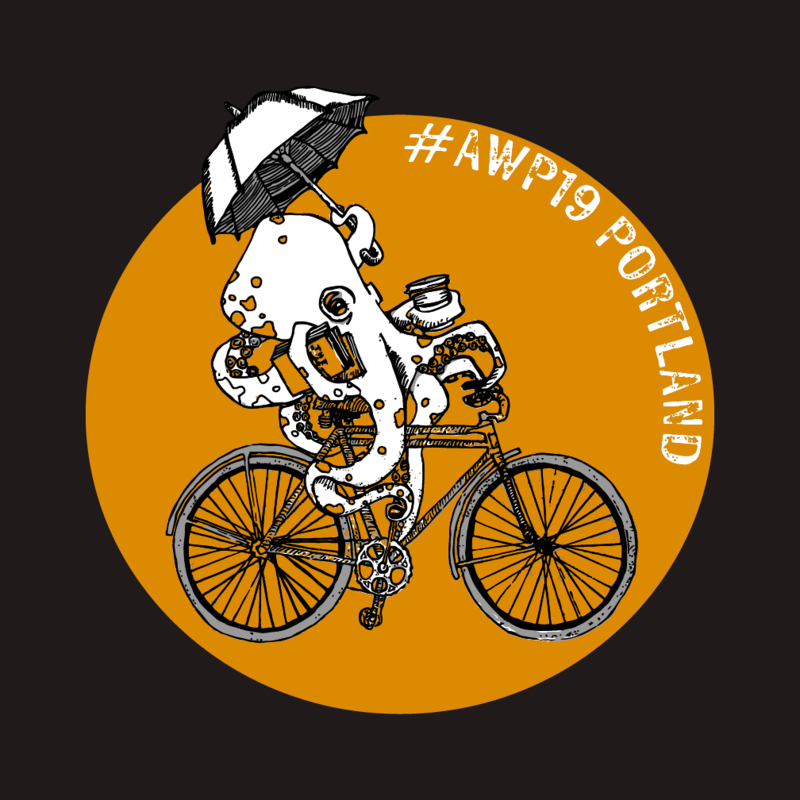 Due to popular demand, we are re-opening our sales for our #AWP19 t-shirt, with Siolo Thompson's wonderful octopus design. 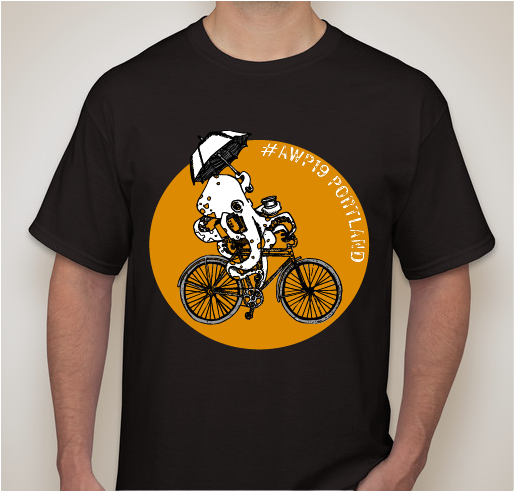 You can order your shirt in several styles in black and grey through May 12, 2019. If you are interested in the white style we sold at the Portland conference, drop us a line at awp@awpwriter.org. "I was excited to hear that AWP would, once again, be visiting the Pacific Northwest, where I have lived for over twenty years. There are many iconic things that a PNW specific design might entail but coffee, books, bikes, and cephalopods were definitely on my list. I like to imagine that this little guy is cycling off to the forest where he will share coffee and poetry with his buddy, the Sasquatch." AWP's Writer to Writer Mentorship Program matches emerging writers and published authors for a three-month series of modules on topics such as craft, revision, publishing, and the writing life. 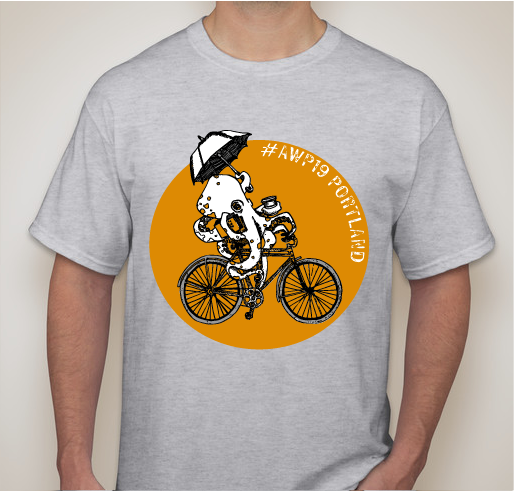 All proceeds from T-shirt sales before the conference will support the growth of this project as it enters its tenth season of helping new writers access the wisdom and experience of established writers. 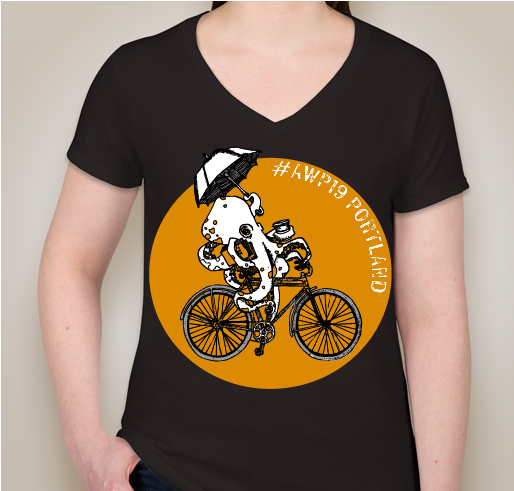 Share Why You Support "#AWP19 T-shirts"